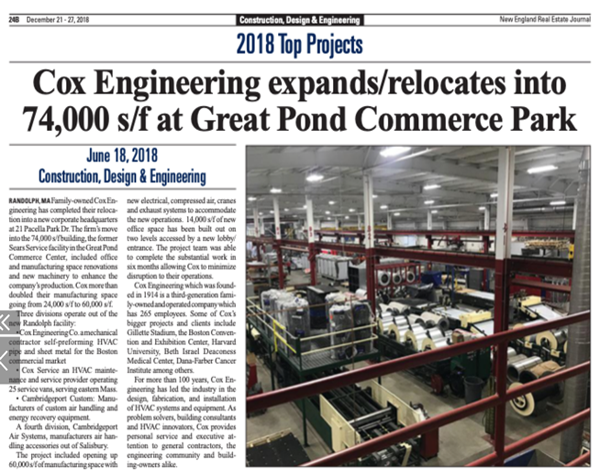 December 2018 — Cox Engineering corporate headquarters (Randolph, MA) named “2018 Top Projects” by New England Real Estate Journal. General Contractor, R.W. Hyde Construction refit the existing 70,000 sf building, with extensive office and manufacturing space renovations.